1.Sterilize roller in alcohol solution earlier than and after each use. 2.Wash and pat skin dry. Three.Do no longer puncture skin however follow pressure. Roll from side to side in desired region for 4 – 5 instances. Transfer direction. Four.Apply moisturizer or repairing serum after use. Five.Use as soon as every week for ideal outcomes. 6.Replace curler once every 1 – 2 months if the usage of often and shop in plastic case. 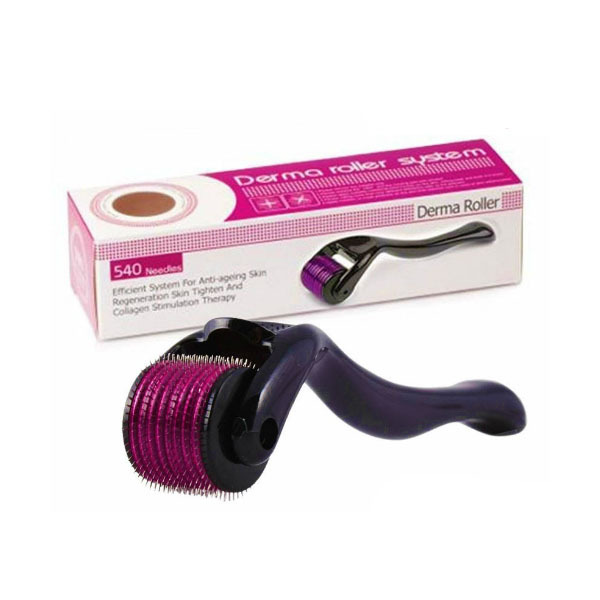 Our derma roller consists of hundreds of microneedles used to penetrate the pores and skin which stimulates fast collagen and elastin manufacturing at the web site being treated. At some stage in the healing system, this collagen and elastin is used to reconstruct the pores and skin resulting in a complexion tighter and extra radiant than before. – on pimples or indignant skin. – beneath eyes or on lips. – stop use if inflammation happens.